This post was originally published on October 31, 2009, but we hope you'll agree that it will never outlive its usefulness. Economy got you down? Try optimism. It can help you get published. Doubt it? Read on: More than thirty years of research in high-rejection endeavors, from athletic competition to life insurance sales, suggests the statement is true. There is more to optimism, however, than The Little Engine’s “I think I can.” Optimism is the practice of framing what has already happened in a positive light. To raise your optimism quotient, try the following ten affirmations. Meditate on them, speak them, and copy them down in your own hand until you are convinced of their truth. Once you own these concepts, your writing will be less about the absolutes of success and failure, and more about gleaning the benefits of every step on your path. And who knows—you may end up appreciating the process of getting published as much as you enjoy the writing. 1. Agents, editors, and authors all love to read and all have the same goal: to increase our country's wealth of good writing. Agents and editors need writers to keep them in business. 2. The book industry is super tough right now, but I am doing what I can to improve both my craft and my knowledge of the publishing industry. 3. I believe that being a published author is my destiny and I will start my journey down that road, but factors beyond my control will affect the timing of my arrival. I will get there when I get there. 4. While pride is the first of the seven deadly sins, optimism is a blessing for myself and for all of those around me. I love my work, so I will share my enthusiasm for it with others. 5. Rejection is the badge of honor I must sometimes wear to prove that I am boldly putting my work out into the world. No one ever got published by keeping her manuscript safely in her desk drawer. 6. Rejection may be a matter of personal preference—my work didn't connect with that reader—or it may simply mean "not yet." It is better to learn that I am not quite ready for publication by being rejected by an agent or editor than to get slammed publicly by critics, realize poor sales, and never be published again. 7. Every experience is a good experience for a writer. Victory, failure, acceptance, rejection—they are all part of the human experience, and stoke the creative fire within me. 8. If I am an optimistic fool, so be it. The real fool is the person who stops doing what he loves just because it is difficult. 9. Worst case scenario: it never happens for me. My epitaph: "She died pursuing her dream." What stronger, more beautiful statement could be made about my life, published or not? 10. I am committed to learning. Learning can be uncomfortable, but ignorance will not move me forward along my path. If writing is truly my passion, I must not give up. If we writers stop pursuing our dreams, who will write all the books? Kathryn Craft is a free-lance editor at Writing-Partner.com, partnering her clients through project development to line editing to honing marketing materials. She prefers "Advocate for Writing Excellence" to "Nit-Picking Perfectionist," thank you. 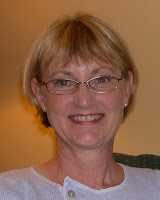 She hosts writing retreats for women and blogs at Healing Through Writing. Thank you for this wonderful post. I try to live by these affirmations, but it's nice to see them all neatly laid out. It is a print and save for me! Great post! I love the positive spin. I'm tweeting this one. Thanks, Elizabeth, for the Tweet! And you're welcome, Christine. A bad economy is not a prerequisite for losing optimism. We still have the things we can count on: our writing process, sense of wonder, curiosity, creativity--and our attitude! Thank you for this post. There were a couple in there that I especially found good for me. I always enjoy adding anything postive to my life. A perfect pick-me-up in these trying times. I love your list, Kathryn! My grandmother always said, "Aim high and you'll never fall too short." I am a nonfiction author currently working on a novel. As I write, I think, "I want to be the next Jodi Piccoult." If I fall short of that goal, I will hopefully land as a solid mid-list author, a result I would joyously celebrate! Thanks for your positivity. We writers can always use a good dose of such a remedy! Thank you thank you!!! This is a keeper! I should frame it. Or actually I'd like to re-blog it if it's okay with you. please let me know. I like to share good stuff and this is GOOD STUFF! I love the positive affirmations. It's so easy to get depressed so having positive things to focus on can be very helpful. Good to read an upbeat post, thanks for sharing. Writers live or die on such affir mations, even if they do go through bouts of discouragement and depression. Most in fact are optimists and dreamers to begin with and we boost ourselves with notions of dusting off and pulling ourselves up by bootstraps when faced with rejection. Even when we acknowledge that our smallest of dreams might not come true, we shake it off and we go for a larger dream still. It sustains us our built in dream detector. It feeds us in the darker times and be assured they will come. Thank you for this post! It's been 2 years since my first book, *Loving God With All Five Senses* was published, and now I know it's time for book 2: *"God's Chain Gang: Links in the Chain to Freedom. "* That's what I need...affirmation to keep writing! Thanks for resurrecting this post, Kathryn. I think we all need the extra inspiration this provides. This writing business is so hard and so emotionally draining sometimes that the temptation to quit is always lurking.